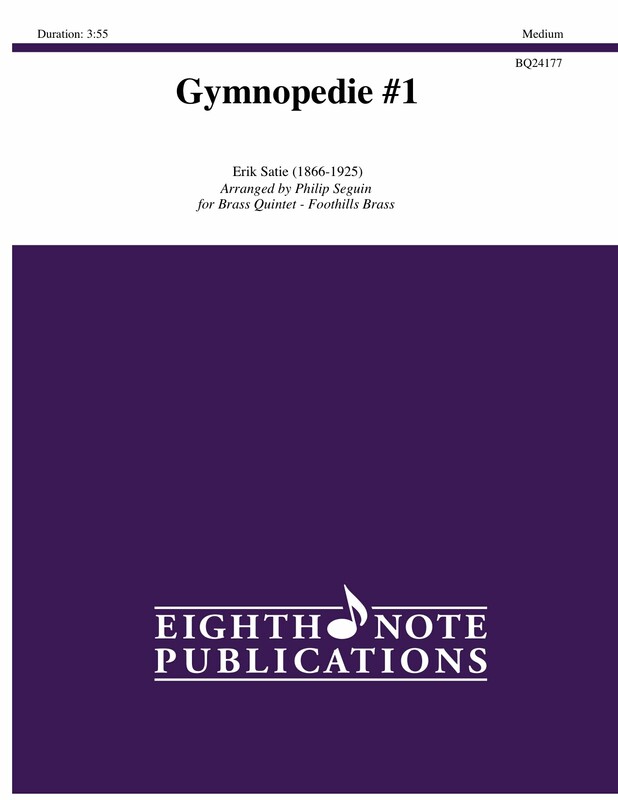 The first Gymnopedie, a word coined by Satie himself, is perhaps the composer's most recognizable work. The melancholic nature of the melody lends itself well to the sombre mood of the french horn. Also the option is there to perform with flugel horns in the accompaniment while striving to achieve the "triste" aspect Satie so desired.